Getting your kids into the shower can be a challenge to handle in its own right. A traditional shower head can be rather uncomfortable for any kid to handle, especially if the water pressure is too high. This is where the use of a separate shower head for your kids can come in handy. Whether used in a shower cubicle or over a bath with a shower curtain, there are many great kid’s shower heads like low-flow shower heads and shower arms that are visually appealing and they can allow for enough water pressure flow rate without being too hard for your child to handle. Such shower heads are made to be comfortable and can make the shower experience all the more enjoyable. 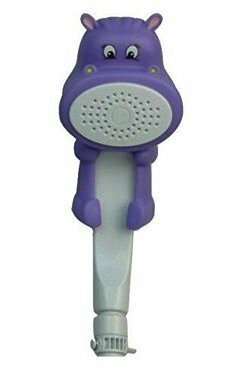 But what are the best kids shower heads out there today? There are a number of good options worth looking into when you are aiming to get a quality shower head that look like bath toys that your children are bound to love—shower time will be a happy time for you and your kids! While there are a few traditional shower head options to find in this listing, some of these shower heads for kids are ones that are designed to fit over the main body of a shower in a bathroom. That is, you might have to fit one of these over an existing shower head. 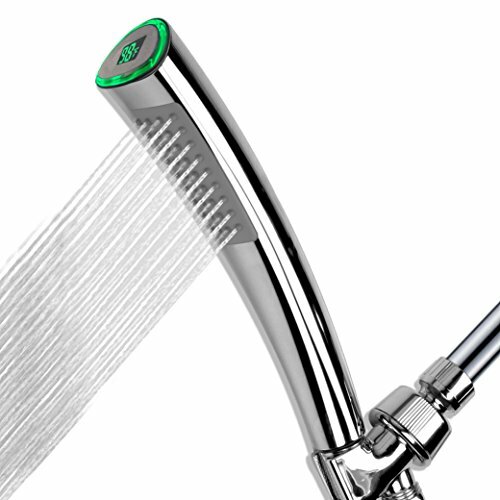 Others require you to simply replace the shower head with something new altogether. The process of getting one of these shower heads assembled or removed should not be all that hard for you to complete though. ConservCo makes a number of shower heads for kids in a number of shapes. These feature a frog, duck, dolphin, hippo, or rhino design. There are 51 spray jets on each with these offering a softer flow of water. About 1.5 gallons of water will come out per minute, thus ensuring the water is not too difficult or hard for any child to wash off with. This can be used with a shower wand arrangement that connects to a five-foot hose. The handle design also uses a sensible grip that is easy for a child to hold on to without being likely to slip off quickly. This next choice is easy for kids to use in that it comes with a relaxed body that does not use too much water. This uses about 1.5 gallons of water per minute although it could also be adjusted to handle about two gallons if needed. It offers four different settings including a rainfall setting that is easy for kids to take in. The handle is very comfortable and smooth. It has a slight curve on its body to create a good grip all the way through. The grip does well for offering a good handle without being tough or hard to use at any time. You can add a new shower head over an existing unit with this Rinse Ace model. It is easy to install and comes with a three-foot hose for easy adjustments. The hose can even be detached to ensure that it will not be at risk of hanging around. This uses a series of small jets around the outside part of the head. These come out of a fun-shaped body with a marine look to it. 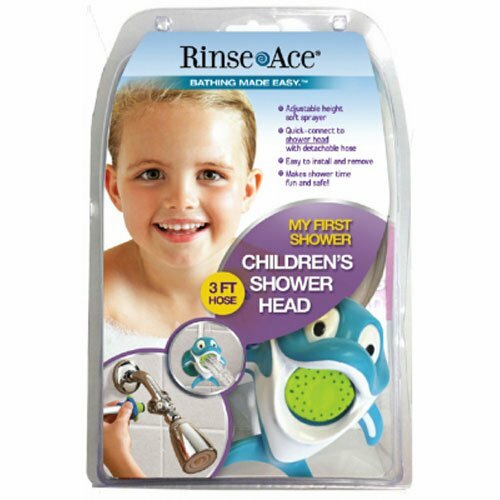 The shower jets allow water to move quickly without adding too much pressure onto your child’s body. An important part of any kids shower head to see involves how well the flow of water is handled. It has to be kept as consistent as possible while ensuring the water is fresh and comfortable on one’s skin. 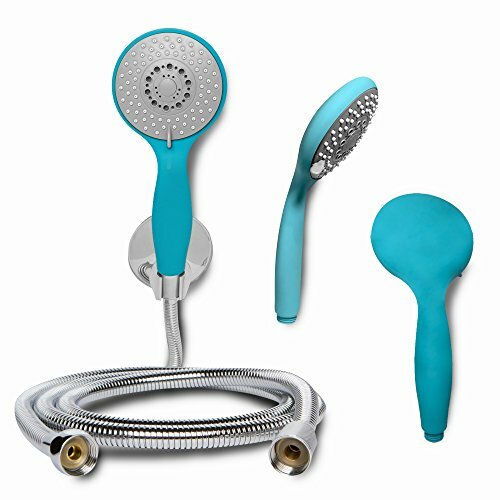 This FlowTec handheld shower head is a popular choice for how it offers a consistent flow of water that will not bother any child that uses it. This uses negative ionization with a series of small beads and stones collecting different minerals and other substances, thus allowing the water flow to be relaxed. This comes with eight different shower settings as well. These can be adjusted with the lighter options being perfect for your children to handle. This even works with just 1.66 gallons of water per minute. It offers enough support for keeping the water relaxed without being overly rough or hard to work with. The inside body is also properly insulated so the stones and beads used for filtering the water will be protected and kept comfortable without any added risks coming in the way of how it is being used. This last option is something that is used by a variety of households with people who have sensitivity issues with regards to their showers. This uses jets that can be adjusted based on how much pressure is coming out at a time. This allows for a nice massage or a gentle watering depending on what one prefers to work with. This protects the user from any significant problems relating to how strong the water might be. This even comes with a separate control that adjusts the temperature of the water. This does well with keeping the water from being too hot. It is helpful for kids although it can also be used in homes with pets or seniors that need to be washed off regularly. The unit can also be installed onto any major shower setting. It does not need any battery to keep its temperature display or its light intact, thus ensuring that it is fully safe to use. The color works well with showing how warm or cool the water is. It will become bright red if the water is too hot or needs to be turned down in some way. Getting a kid’s shower head does not have to be tough to do. Be certain when finding such a shower head that you find a choice that has a good body and is not overly tough to use. Make sure the shower head also offers a gentle flow of water so your kids won’t be bothered by it. 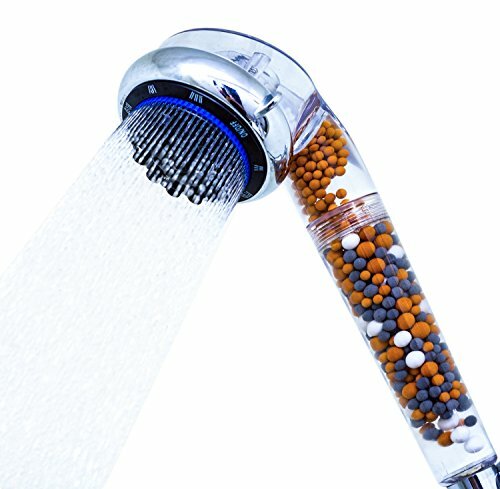 What is the Best Shower Head for RV?